“Grandpa’s blood has never dried,” my cousin John Crawford once told me. His observation answered lingering questions about why all of us were raised on the same story, decades apart and in disparate parts of the country. My great-great-grandfather Anthony Crawford was lynched in 1916, our land was stolen and my ancestors were ordered out of town by hundreds of white neighbors. For 100 years, these heinous acts have left a haunting legacy on every Crawford to come. Our banishment and migration meant that most of us were not even aware of the widespread existence of other Crawfords who were part of our family tree. This month, we return home. About 200 members of our exiled family will visit the place where our ancestor was killed to pay tribute to a man who has defined my family for generations. On Oct. 21, we will consecrate the land where the white mob lynched my great-great-grandfather. The next day we will unveil a historic marker to commemorate his life and death. We will be joined by supporters from across the nation, including the Equal Justice Initiative, the Samuel DeWitt Proctor Conference, the We Say Enough Campaign and the Southern Truth and Reconciliation Network, who will engage with us as we teach the truth of the actions against our family and call for reparatory justice and healing. The Waco Horror: What does it mean to share a name with the victim of one of the most infamous lynchings in American history? For 100 years, the details of my great-great-grandfather’s life and death have been embedded into who we are as a family and as people. Crawford was a prominent black farmer who owned 427 acres of land in Abbeville County, adjacent to his brothers’ properties. He was assaulted, arrested and placed in jail after a disagreement with a white store owner over the price of cottonseed that Crawford brought to the market on Oct. 21, 1916. 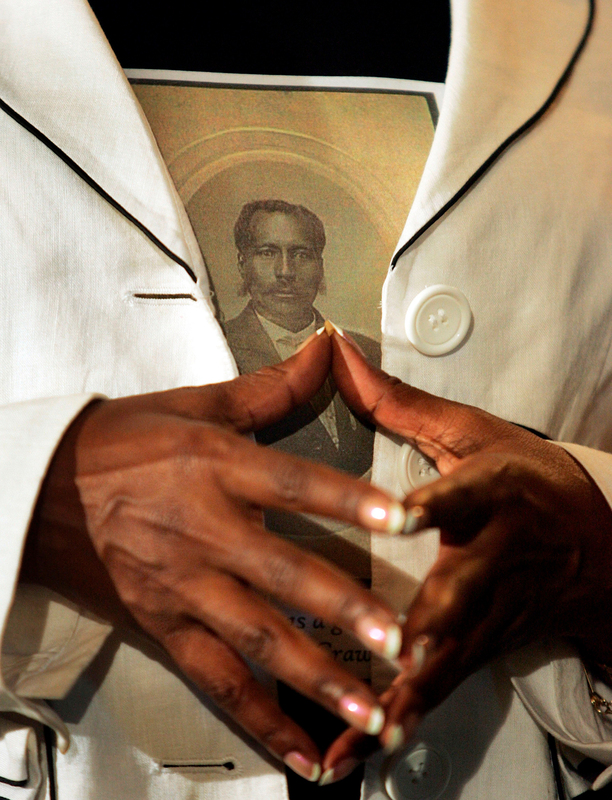 Doria Dee Johnson holds up a picture of her great-great-grandfather, Anthony P. Crawford, at her Alexandria, Va., home April 10, 2001. 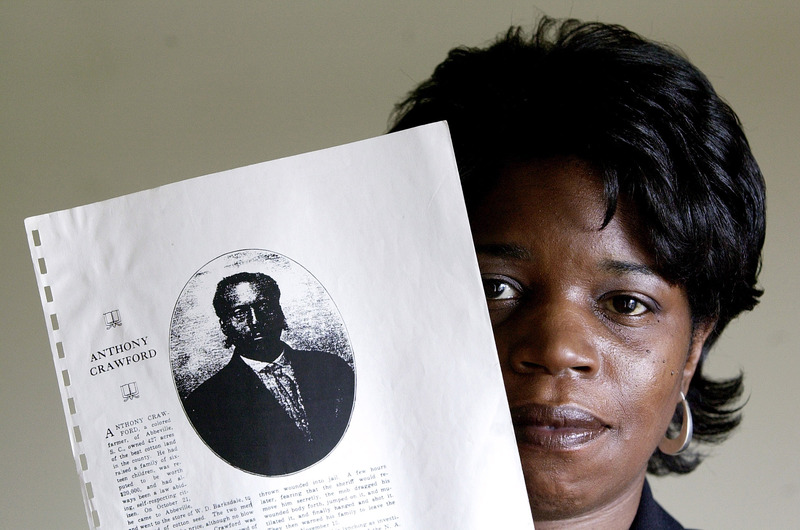 Crawford, a wealthy black farmer in Abbeville, S.C, was lynched by a white mob in 1916. His children inherited his 427-acre cotton farm but lost it when they couldn’t pay off a small bank loan. Our two days to pay homage to Crawford are meant to begin a recalibration of the history there. So much violence against my people engulfs that hauntingly beautiful piedmont. “How dead did he have to be?” my cousin Alberta once asked me as we contemplated his all-day ordeal and the mutilation of his remains. Right there in the town square. The newspapers and historical references point to what happened to my great-great-grandfather. The NAACP sent an investigator to Abbeville after Crawford’s killing. Posing as a land speculator so he could get close to the lynchers, NAACP secretary Roy Nash discovered that the altercation over the price of cottonseed began the dispute. Local store owner W.D. Barksdale offered great-great-grandpa 85 cents for his seed while offering white farmers 90 cents. He told Barksdale to give him his “damn cottonseed back” and for that he was arrested for “cursing” at a white man. After Crawford’s killing, NAACP leader W.E.B. Du Bois met with his executive board and decided to elevate my great-great-grandfather’s lynching to the lead story of the popular Crisis magazine. One of my earliest memories is of my grandfather, “Daddy Brooks,” showing me that edition of the magazine while telling me to “never trust white folks.” My grandfather’s warning came as I was making history desegregating our local schools. I was making white friends, and he was worried. I would understand the context of his concerns as I became an adult and had to confront the history of U.S. race-based violence, leaving my desegregated schools and entering a working world that did not see all people equally. The era my grandfather described was a dangerous time for black people. Between 1904 and 1918, 42 black people were lynched in South Carolina, making up a quarter of the documented lynchings in the state from 1882 to 1923. After my great-great-grandfather’s murder, South Carolina Gov. Richard I. Manning sent a state investigator. The governor’s investigator produced an extensive report that led to the arrest of several men who were never fully charged with the murder. The final determination was that my great-great-grandfather had died “at the hands of persons unknown,” albeit all were named in Manning’s report. The state report says that he nearly killed mob leader McKinley Cann by crushing his skull with a hammer. A hammer? The report also determined that he fought back against his attackers. But once the crowd got larger, some brought knives and stabbed him. I often wonder about his thoughts and whether he was thinking of the grandchildren who lived within earshot on his homestead. Doria Dee Johnson wears a picture of her great gandfather Anthony Crawford, a lynching victim, during a press conference held by senate members who spoke about a historic resolution apologizing for the body’s failure to enact federal anti-lynching legislation during the first half of the 20th century speaks during a press conference June 13, 2005 on Capitol Hill in Washington, DC. My great-great-grandmother Fannie lost her husband that Saturday in October. She would miss his stories about his grandfather Charles, who according to the 1880 U.S. Census, was born in 1780 in Africa. She would miss his robust laughter. And she would miss his grit and determination in the face of the adversity that came with being a black man in the South. 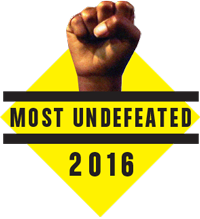 NAACP secretary Nash said great-great-grandpa had a saying, “The day a white man hits me is the day I die.” I think he died for a lot less. Many of us were raised on the story that he would take his seed and throw it in Penny Creek, on the old homestead, declaring, “I’ll throw it away before I’ll let them take it from me.” He was a warrior who was caught that day without a gun. But, he was also a peaceful man. Once his sons were in a fight with boys from a local white family. Afterward, he placed an ad in the local paper that called for peace among the families. For so long, the truth of what happened to our great-great-grandfather remained ignored and dismissed, continuing to uphold the myths that allow violence against black bodies. I’ve thought about all this over the years when I interview family members about what justice would look like for them. Their answers vary from receiving our property back, face-to-face conversations with the descendants of the families involved, financial reparations from the state, local acknowledgement and formal apologies. But most said a permanent marker needs to commemorate this sacred place. So, we are coming home. Every time we get together there is an excitement that only a child of the diaspora can understand. We hear our father. And we salute him and the others whose lives have been taken for their identity as black people and their demands for their humanity. Doria Dee Johnson is Anthony Crawford’s great-great-granddaughter and a doctoral candidate in the department of history at the University of Wisconsin-Madison. She is a visiting scholar with the Newberry Library and the U.S. representative on the Nelson Mandela International Dialogues.